The GCAS Surf Life Saving Program is scheduled to commence in September 2018 and is now accepting applications. 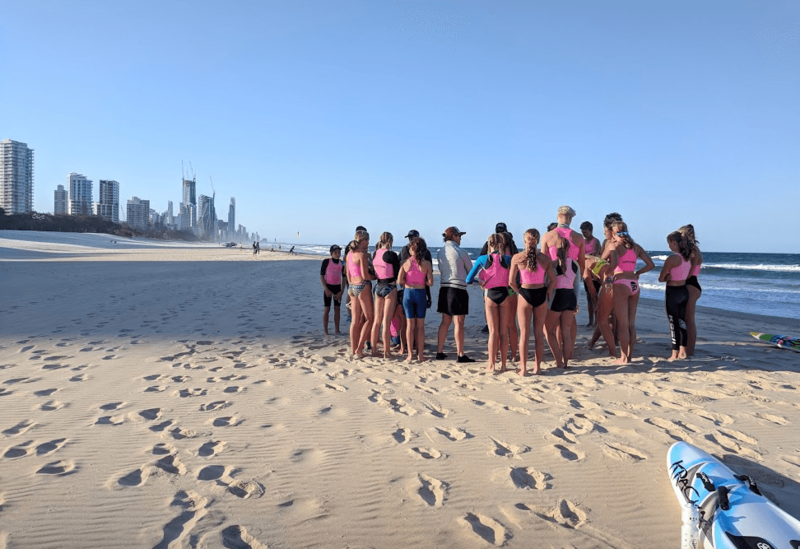 The surf lifesaving program will be lead by Surf Life Saving Queensland with the intent of developing the athlete’s understanding of performance and the necessities of improving performance. We are also proud to be able to partner with the state Association to offer young athletes the opportunity to further their knowledge in how they can improve their performance. As the Academy is working with the state surf lifesaving body athletes will be selected within the Association. Should any athletes be interested in the program please contact us and we can direct your enquiry on to the the state association for consideration. Athletes will be selected from local Surf Lifesaving clubs on their competition merits and ability / potential. Athletes will be selected to undertake training and education sessions which will assist in their development to represent at state and national levels. Nominated by the state association. Be committed to improving their performance in the hope of representation at high levels. A levy of $70.00 (inc. GST) will be applicable to successful athletes and covers the full cost of participation the program, the GCAS polo shirt and a family ticket (3 pax) to the GCAS Annual Awards Evening. Whilst this amount is billed to the individual, clubs are encouraged to assist where possible in covering or part covering the costs of the program.